I have not been a good patient. 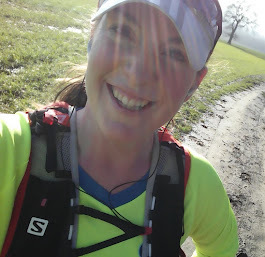 Being injured and unable to run for a couple of weeks has been awful - I didn't realise how much it would affect me, upset me, and make me question the persona that I have now created for myself as "a runner". I know that everyone gets injured, and just because I've not been running it doesn't change who I am, but in an illogical way, I felt like it was just me alone sitting on a sofa RICEing my leg, while my training plan slipped though my fingers - I stopped blogging, ignored twitter, couldn't bear to read my Runners World and no doubt have put on half a stone (although I wouldn't actually know as I'm still a bit scared to jump on the scales again) with all the junk food I was eating. It's taken a few days of being without pain to feel like I'm mended but this morning I went for my first run since injuring my Achilles, and it was fantastic. The runner's high I think they call it...although I'm sure I wasn't going fast enough to really achieve that as I took it very easily...but whatever it was, I felt like me again. I'm back on track, and can't wait to pull my trainers again and get back out there for the next training run. I know how you feel, because I run too, and it was so saddening to get an injury. I had an injury last September and the doctor advised to stay away from strenuous activities which is of course running and I felt sad. But my foot has recovered and I'm beginning to do my running routine again. You'll be well soon. Take care.